This is a must-read book for any sewist who is toying with the idea of taking their home sewing to the next level. 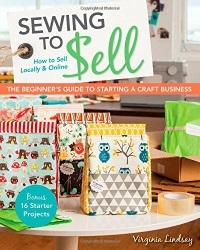 Not only does this book provide you with 16 starter projects – it covers the basics from finding your sewing style, identifying your customers, essential equipment, buying and using your fabric to sewing and selling. There are also interviews throughout the chapters from talented sewists who have taken the leap and created their own craft business. Excerpt: Now for the question of whom you are going to sew for. At home, when you are sewing for yourself, you can sew whatever you like. One day you may feel like sewing a pretty pink baby blanket, and the next you are making your boyfriend a camouflage canvas wallet. Switching projects around is great for improving your skills and flexing those creative muscles. My sewing room is full of projects from all sorts of different moods and interests. Switching up is wonderful when you are sewing as a hobby, but when you want to make the transition to selling your creations as a profession, you need to make some clear decisions and focus on a specific group of people to sew for. 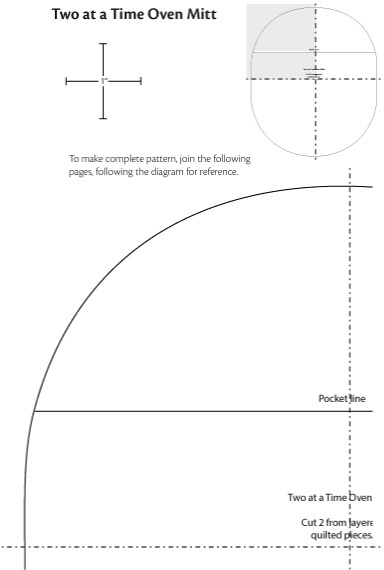 Then follow your sense of style (see Finding Your Sewing Style) to give your work a cohesive professional look.